Drover Holidays is owned and run by Luke Skinner and Anna Heywood-Skinner. We met at university, immediately realising that we shared a love of travel and the great outdoors. Our first adventure was to hitch-hike from Wales to Morocco, and we subsequently spent time exploring Europe and South America, mainly on foot and sometimes with the aid of a pack-horse! 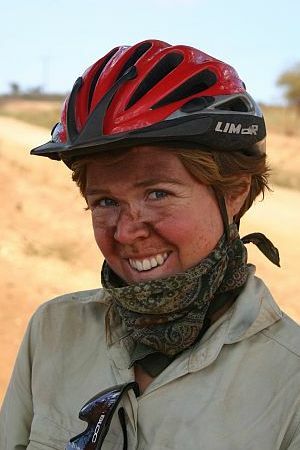 In August 2004, following a three-year stint working in the travel industry (Luke) and archaeology (Anna), we embarked on a 30,000km cycling expedition - our aim being to pedal all the way from the UK to South Africa. 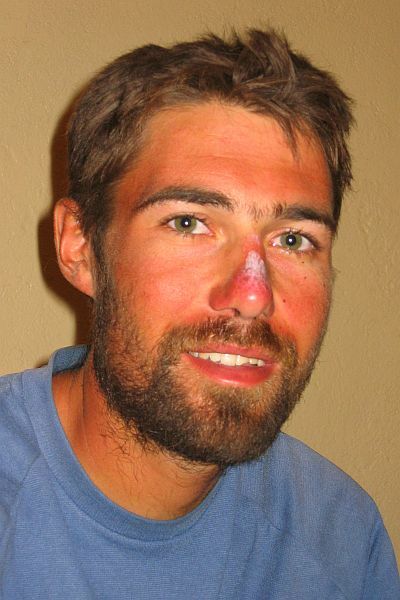 After 615 days on the road, we arrived in Cape Town in April 2006. 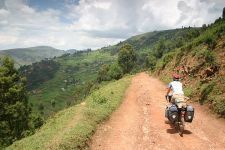 Africa by Bike changed our perspective on life in lots of ways, and we were privileged to experience a vast range of cultures, landscapes and encounters (not to mention road conditions) at first hand along the way. To read more about our expedition, check out the Africa by Bike website which has a full archive of our updates and photos from the road! Our love of cycling and belief that the world is best experienced at a slow pace, preferably on two feet or two wheels, inspired us to set up our own business. That is how Drover Holidays came about, and the decision to focus on Mid Wales was a natural one as Luke was born and grew up in the local town of Brecon. Inspite of all this globe-trotting, we still think our own British Isles are one of the most beautiful parts of the world. Of course Luke, being Welsh, believes the very best combination of landscape, culture and hospitality is to be found here in Wales! We believe walking and cycling are a great way to enjoy the best of Wales, as well as being a healthy and sustainable holiday choice. We understand that everyone has different needs and ideas, which is why we tailormake your trip. Social and environmental sustainability are at the heart of our philosophy here at Drover Holidays. We have previously been given a Gold Award by the Green Tourism Business Scheme. You can read our Environmental Policy and Responsible Visitor Charter or contact us to find out more. We look forward to organising your perfect Welsh adventure and welcoming you to this very special part of the world.